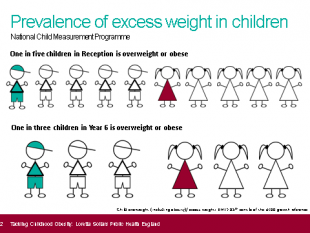 Whenever you hear a statistic quoted about the high levels of obesity in our primary school children, it is almost certainly a figure that has been reported through the National Child Measurement Programme. It’s likely that they will report that the 2015/16 figures show that the level of obesity of primary school children remains worryingly high. Because nearly 100% of all school children attending state schools are measured, we know that these figures are extremely accurate. Reports giving breakdowns by gender, ethnic origin and local deprivation levels are available for each local authority right down to SOA area. PHE’s finger tips tool (hyper link: https://fingertips.phe.org.uk/profile/national-child-measurement-programme ) even enables you to build your own profiles of the data by comparing different areas and demographics. (unfortunately it is not possible to pull out the data for individual schools because this could result in data plots being identifiable). The quality and strength of this data is envied worldwide. Although the NCMP was established in 2006 initially as a surveillance tool, it has gradually become an opportunity for professionals to make interventions at a local level. School Nurses are vital members of the public health workforce that use the programme to their advantage. 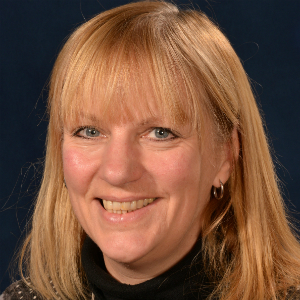 Best practice sees school nurses and teachers running the measurement day as a totally integrated element of a whole school approach to healthy lifestyles – and not as an interruption to the school routine. The Change4Life School Zone (hyperlink: https://campaignresources.phe.gov.uk/schools ) has a range of resources to support schools and school nurses to do this: letters and presentation materials for parents, teaching resources appropriate for both reception and year 6, school assembly presentations. The “Our Healthy Year” materials give ideas for schools to be healthy throughout the whole school year, have plenty of great tips that schools can take on board and that support the key public health messages associated with maintaining a healthy weight. When parents receive their feedback letters reporting on the weight status of their children, many local areas give school nurses or other health professionals as a contact point for seeking further advice. The NCMP therefore points the way to holding those important first conversations with children and their parents and families about how to regain a healthy weight status. The NCMP figures may not move much from one year to another, but with the support of health professionals to take full advantage of the programme, we will over time start to reduce the proportion of overweight and obese children in that annual statistics release.